The reason most people continue to experience repeated or multiple styes in their eye is because they suffer from a condition called Meibomian gland disfunction (MGD). What are meibomian (oil) glands? Meibomian glands are the vertical glands that run from the base of the eyelid to the edge of the eyelash margin. These secreting glands are responsible for the secretion of oil onto the posterior lid margin each time the eyelid blinks. The oil that is produced and discharged by the meibomian glands mixes with the tears of the eye to create a proper tear film balance. ​Oil produced by the meibomian gland helps to lubricate the eyes. It mixes with the eye’s tears (clear salty liquid) and prevents rapid evaporation. The secreting oil also helps wash away staph bacteria that could otherwise enter the duct of an oil gland. Meibomian gland dysfunction (MGD), also termed blepharitis, is a common form of lid margin disease. In its early stages, a person will show no symptoms. But if the condition is left untreated, it can bring about or exacerbate eyelid inflammation or dry eye symptoms. Dysfunctional meibomian glands produce insufficient oil supply and causes the secretions to thicken. As a result, the gland becomes susceptible to bacteria invasion. Moreover, the thicker oil secretion promotes blockage to the gland duct. Once bacteria enters the gland it causes a localized infection, eyelid pain and swelling. There are 25 meibomian glands in the lower lids and 50 in the upper. ​MGD affects ALL of the glands—not just one. This is why you keep getting styes in the eye. 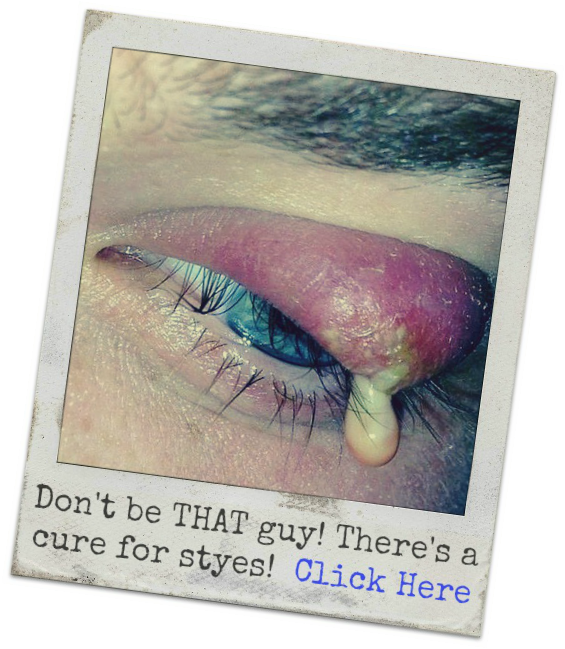 It’s not that a stye is contagious—it's not. It’s because all of the glands are incorrectly working and stye prone. ​For reference, it's common to have multiple styes in the same eye at the same time or several styes in both eyes at the same time. In many cases people will experience reoccurring or repeated styes (styes that occur again, periodically, or repeatedly). Meibomian gland dysfunction can happen for many reasons (e.g. environmental conditions, hormonal changes or medications). It can also be a permanent disease or temporary illness. One reason people suffer from meibomian gland dysfunction is because of environmental conditions, such as viewing a digital screen for a long period. A person who watches a computer screen for an extended time blinks less. This alters tear film balance and reduces it’s quality. It can affect meibomian function, thus trigger frequent styes. Hormonal changes or abnormalities with the endocrine system can cause meibomian gland dysfunction, and subsequently, bring about recurrent styes. For instance, a person suffering from testicular atrophy due to androgenic steroid usage can be prone to regular eye styes. Hormone replacement therapy (HRT) such as synthetic testosterone or estrogens and progestins (common contraceptive agents or post-menopausal therapies) has been implicated in dry eye and meibomina gland problems. Certain medications such as beta blockers, antihistamines and decongestants, antidepressants (zoloft, paxil) can cause dry eye—further exacerbating meibomian gland disorder. But do not consider this brief discussion as the only drugs to bing about dry eye condition—there are many more drugs that cause dry eye. In summary, this article was written to answer the question of “why do I keep getting styes in my eye.” If you suffer from continued styes or get multiple stye, the likely cause is meibomina gland dysfunction.